A small white farmhouse in the country is dream for many of us, including Alison Little, the voice behind the Instagram account, 'Our.Little House'. While Alison and Scott's home may not be situated in that longed for, pastoral location it still manages to create the illusion of such a place. From the entrance to the bedrooms, each room is furnished with classic pieces, reclaimed items and rustic decor. Crisp, white walls allow elements, like the spacious farmhouse table and colorful vintage maps to take center stage. It also allows Allison and Scott, the owners behind the creative company, Green Cove Collective, to dream and design unencumbered by clutter. 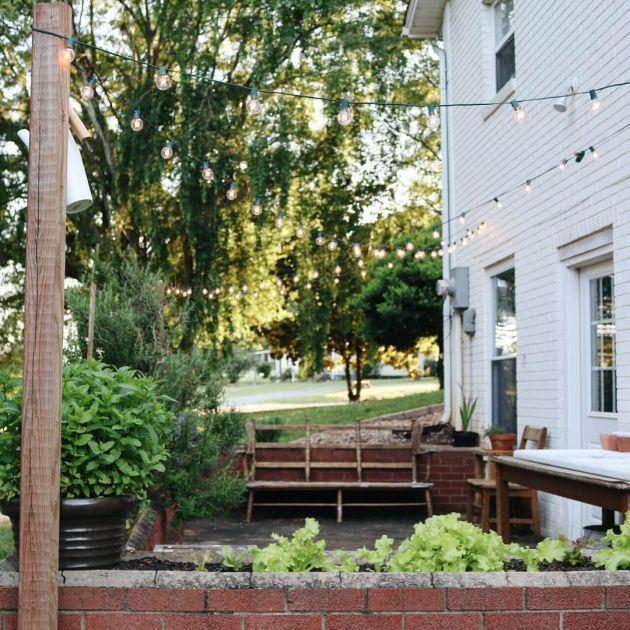 If you crave a simpler kind of life, filled with beautiful farmhouse decor, then allow this little house to inspire you to take that next step. A worn bench and simple slab of barnboard with hooks transforms a section of wall in the kitchen into a tidy entranceway. A long, rectangular farmhouse table provides seating for this family of 6 in the spacious dining room area. A collection of antiques, colorful mason jars and mugs add interest to a small section of the dining room. A vintage map of the United States provides a vibrant backdrop to this neutral living room. Pale blue walls and original hardwood flooring set the stage for this adorable bedroom designed for two. A black, metal bed frame and side table create a striking contrast against the white walls and bedding of the master bedroom. Vintage elements like the schoolhouse chair, wooden crate and spindle bed frame take the viewer back in time. Did you love the elegant simplicity of Alison Little's Home? If you did, then take a moment to share this article with your friends on Facebook.